Some of the best horror skirts the line between psychological thriller and supernatural terror. In the spirit of Netflix’s The Haunting of Hill House, here are a selection of terrifying books. Don’t lose your head. My personal favorite book of all time. It’s about a House that’s slightly bigger on the inside than on the outside. Actually, wait, it’s about a documentary about the family living in the House. But no, that’s not right either, it’s about a critical review of the documentary about the House. Well, in truth, it’s about a man editing the critical review of the documentary about the House. And that man is going insane. Highly recommended. A absolute classic tale of Gothic horror about an English governess who is either seeing ghosts, losing her mind, or both. Ligotti is probably the modern day inheritor of the mantle of Lovecraft. When it comes to horror writing few others come close to his prowess. A short story master and a talented cynical writer, this is his first short story collection and it’s bound to unnerve you. Published only a few years after The Exorcist, this is the true crime meets horror book that will keep haunted house and demonology enthusiasts turning the page. This book spawned a series of movies. A U.S. Marshal travels to a hospital for the criminally insane on a remote island in order to investigate the disappearance of a patient. Adapted by Martin Scorsese into a Leanardo DiCaprio film. 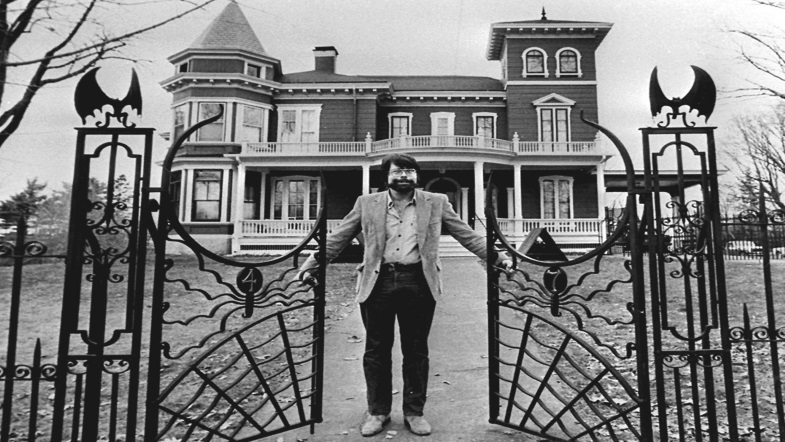 Horror maestro and bestselling author Stephen King lives in a house in Bangor, Maine that could be the setting for any number of his terrifying novels. The house itself is a in a neighborhood just outside of downtown Bangor, on a street with several other very nice homes. However, few of the other houses on that block have black wrought iron fences with twisted decorations of spiders and monstrous creatures, like some sort of permanent Halloween decoration. Red with stark white trims, the house just looks like it could be hiding a dark secret or is secretly possessed by otherworldly spirits or slowly drives its residents insane. We can see why King lives there, the place is just dripping with the flavor of his storytelling techniques. Eventually, the horrors that possessed the house proved themselves to be either benevolent or nonexistent, and the King family managed to make themselves at home. King goes on to talk about more banal reasons why they settled on the home, like the walking distance to school, but there’s no denying that the King of Horror is right at home. You might recognize it as the house past which Cher trials miserably on her way home from retail therapy in Clueless, but the Beverly Hills ‘Witch’s House’ was originally built in 1921 as the set for the ‘Hansel and Gretel’ movie. The house at 516 Walden Drive fell into disrepair and was a popular spot for risk takers to seek out ghosts. Now it’s being resurrected just in time for Halloween! The concept in the home was to make it as organic as possible to the ground, everything looks as if it just sprung out of the ground, almost like a volcanic eruption. Apparently, Libow spared no expense making sure the house is perfect from top to bottom. He plans to live there for the rest of his life. He is also making Halloween a day to remember on Walden Drive again and will allow visitors.